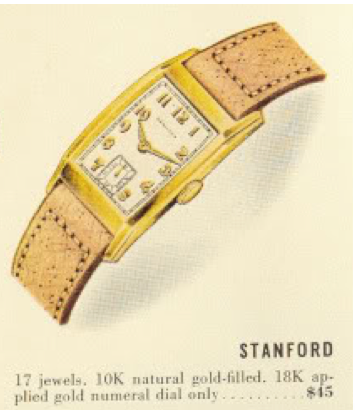 One of the 1940 "One-year-wonders" was the Hamilton Stanford. It was introduced and produced for only one year. I don't know if that makes it rare or just uncommon but I have only come across one. Of course, it's easily confused with earlier models - specifically the Carson, with which it shares the same crystal. Unlike the Carson's 14K gold filled case, the Stanford has a 10K gold filled case. 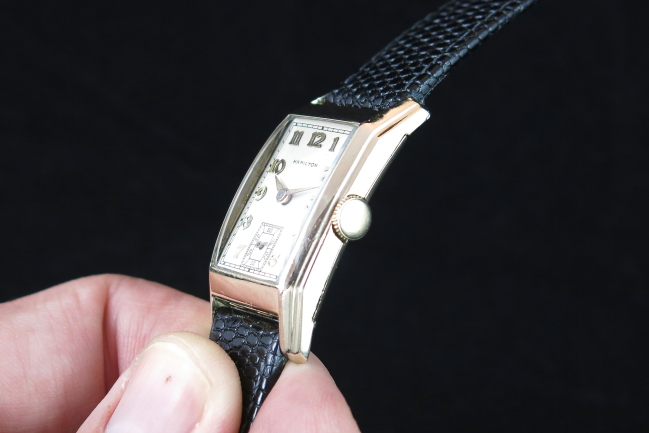 It also came only with an 18K AGN dial. 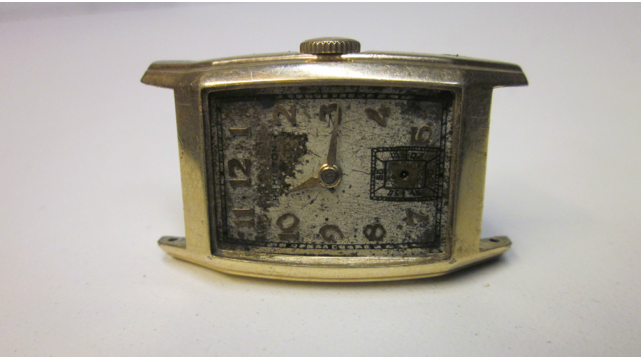 The shape of the case is Carson-like, except the Stanford also has a step-detail on the sides where the Carson is smooth. Under the dial you will find a 14/0 sized 17 jewel 980 movement. I recently acquired a Stanford and I was excited to get it since I had never seen one before. As you can see in the photos below it had a serious case of dial rash from years without a crystal and it had lost it's second hand. 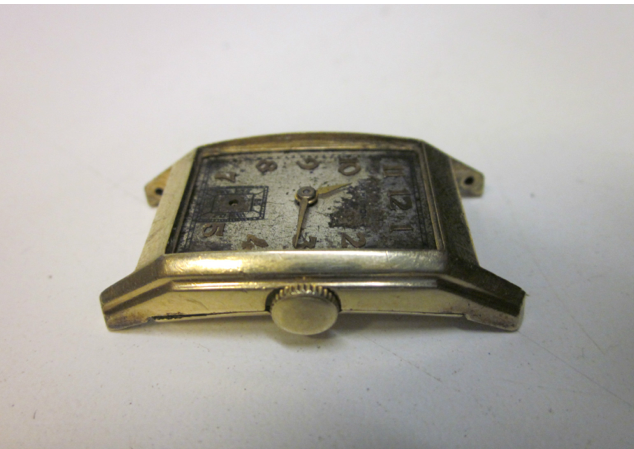 Fortunately the case was in really nice shape with no apparent wear through - just a few decades of grime. I sent the dial off to be professionally refinished and while it was being redone I overhauled the movement and procured a new crystal. Once the dial came back it all came together with a nice black lizard strap and - voila! Another Hamilton saved from the junk drawer. Just for comparison's sake, here's a photo of a 1935 Carson. Another way to tell them apart is the Carson has a rectangular frame on the dial inside the numbers, where the Stanford is plain. 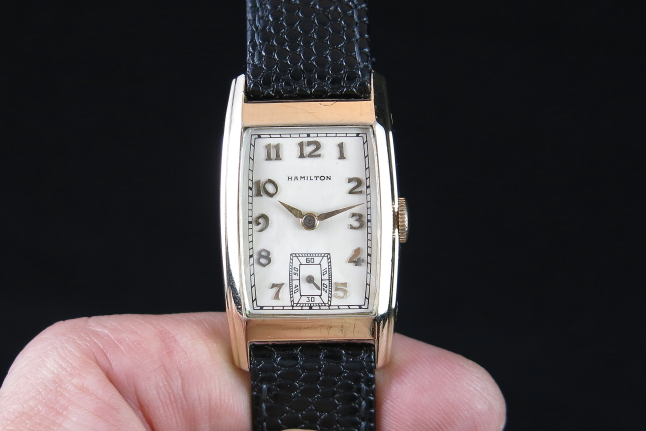 My husband inherited his father's Hamilton wrist watch in 1988 upon his father's death. 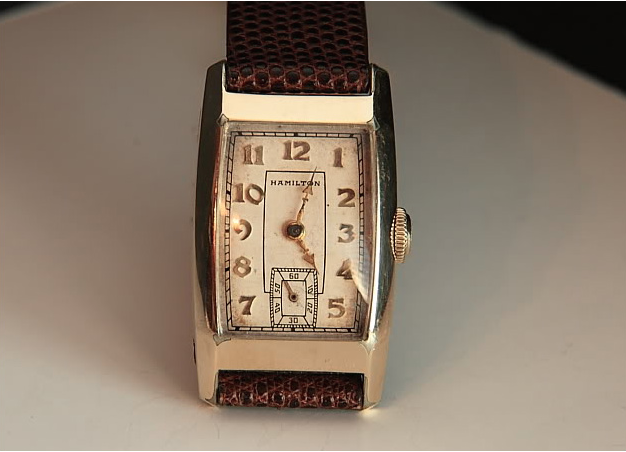 After checking through this website, I discovered my husband's watch is a Stanford Hamilton wrist watch. My husband was named after his father, Willis, and his grandfather, Stanford, who died in 1938 or 39. How fitting his watch should be discovered as a 1940 Stanford Hamilton watch.